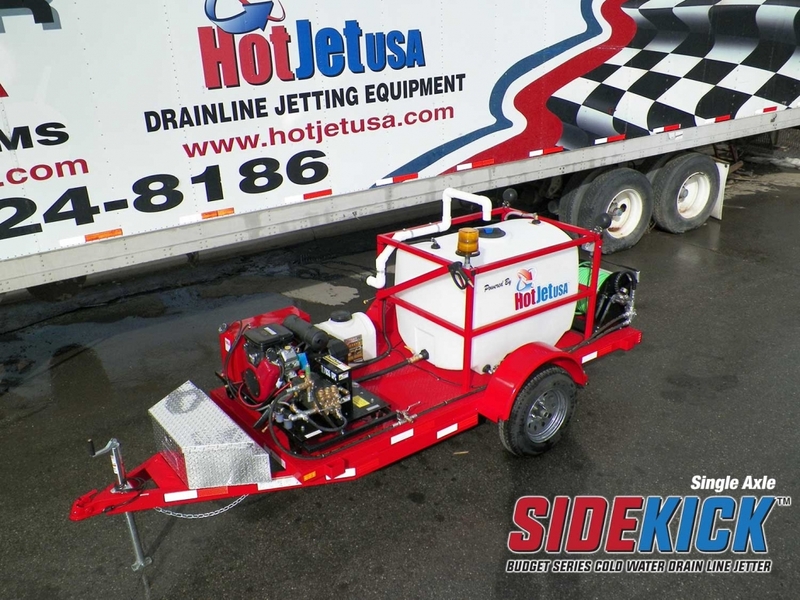 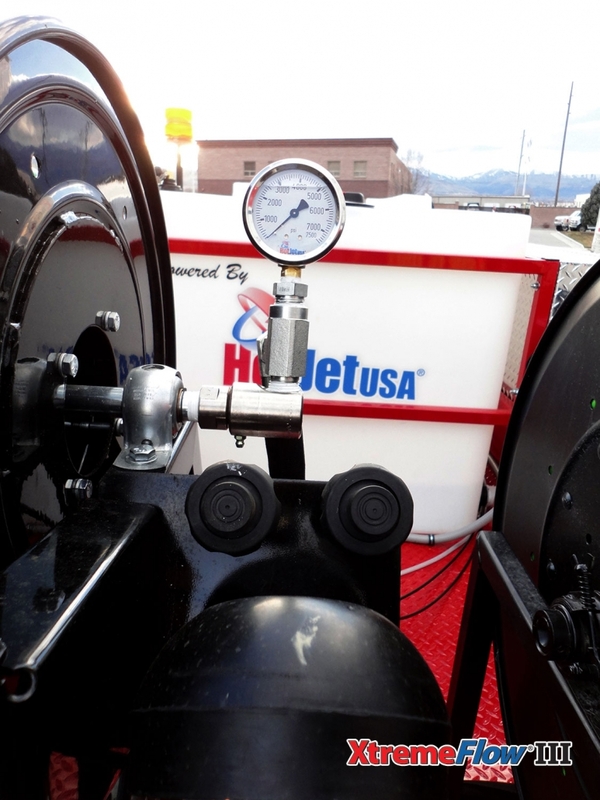 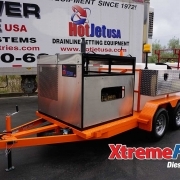 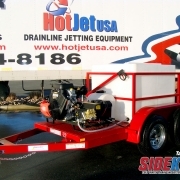 HotJet’s Trailer Mounted Sewer Drain Line Jetters are engineered for professionals and municipalities that want to get the job done with a cold water option. 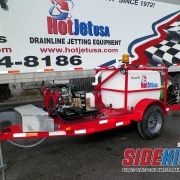 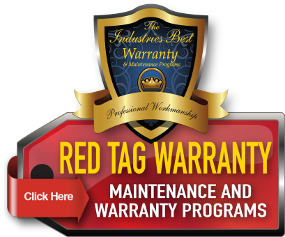 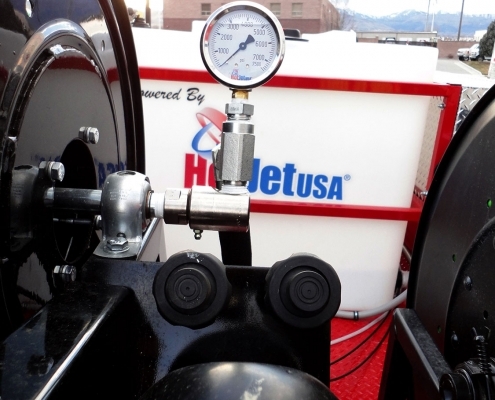 HotJet USA’s legendary high performance units are true dual purpose – capable of cleaning 2″ to 12″ lines as a drain line jetter and also serving as a high powered power washer. 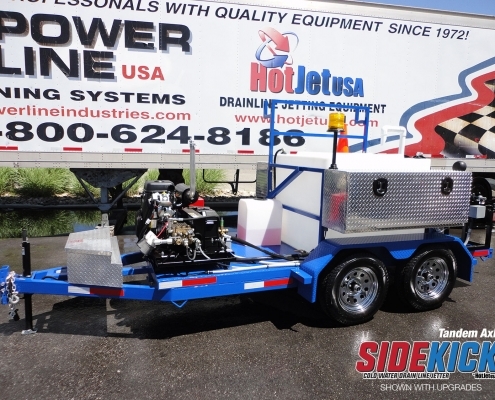 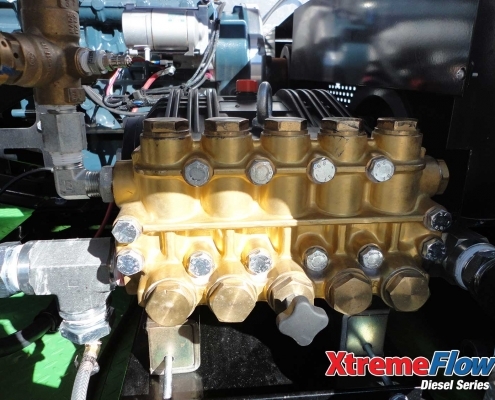 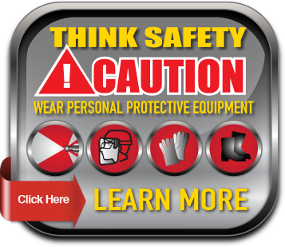 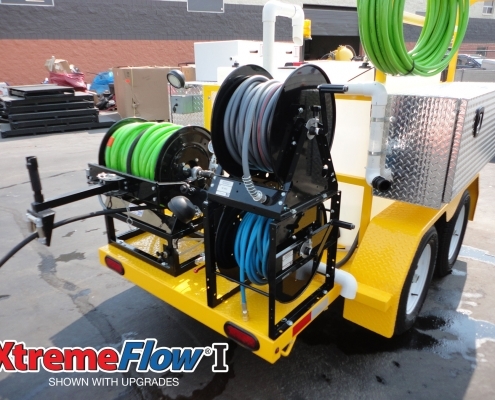 Choose from our economy Sidekick series, the complete package XtremeFlow I Series, our fully loaded XtremeFlow II series or our XtremeFlow Diesel engine series and find out why MORE PROFESSIONALS choose HotJet trailer mounted drain and sewer jetters. 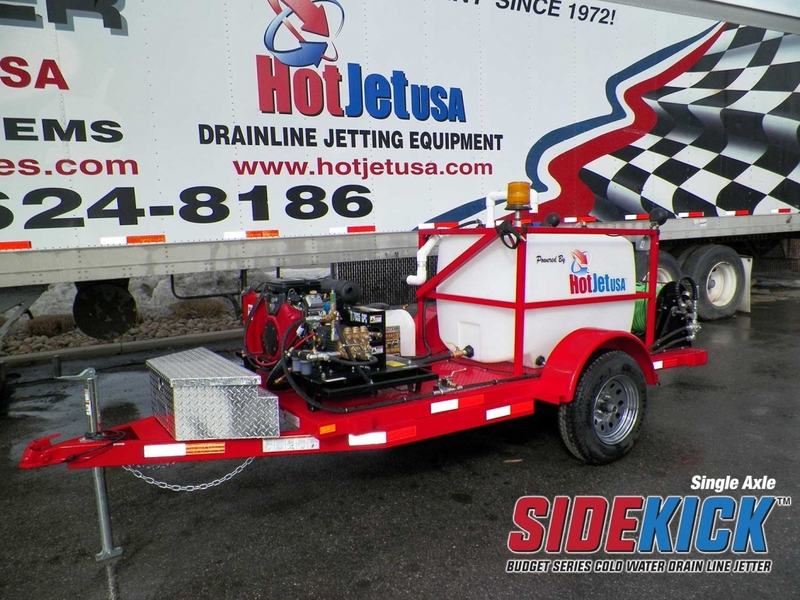 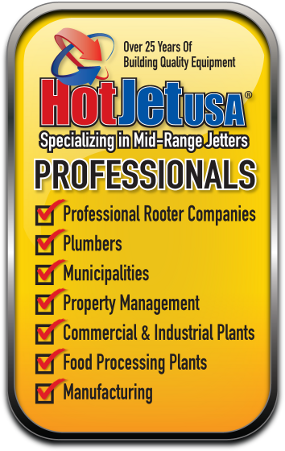 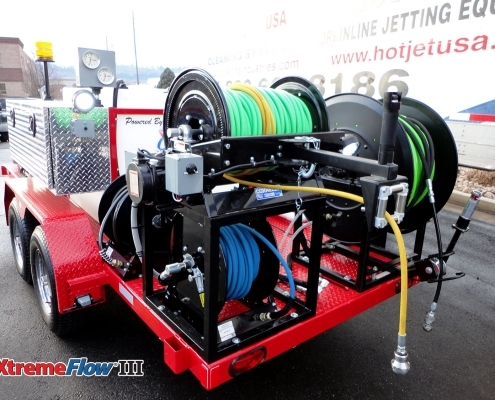 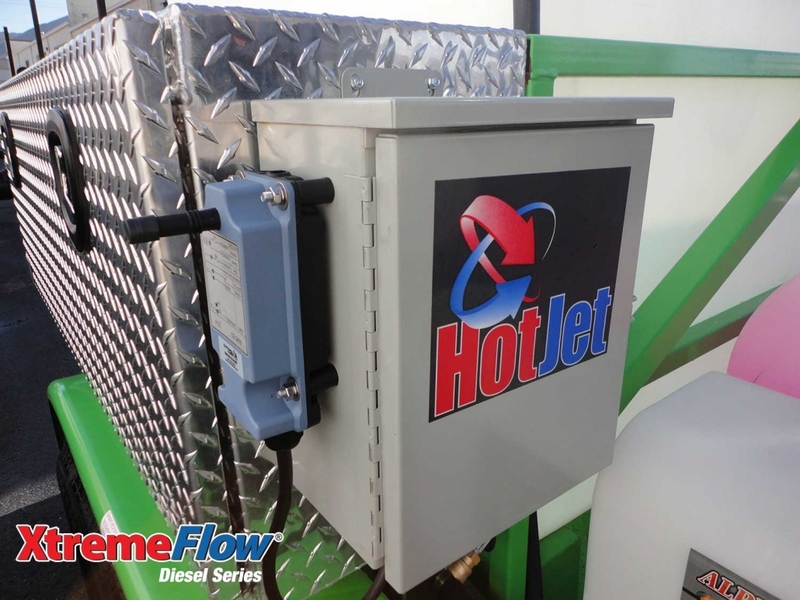 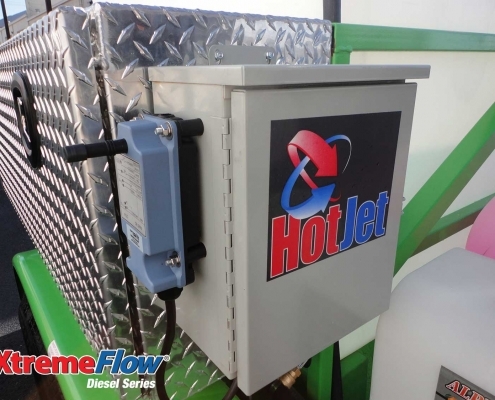 HotJet’s Trailer Mounted Sewer Drain Line Jetters are engineered for professionals and municipalities that want to get the job done right with a cold water option and LOTS of power! 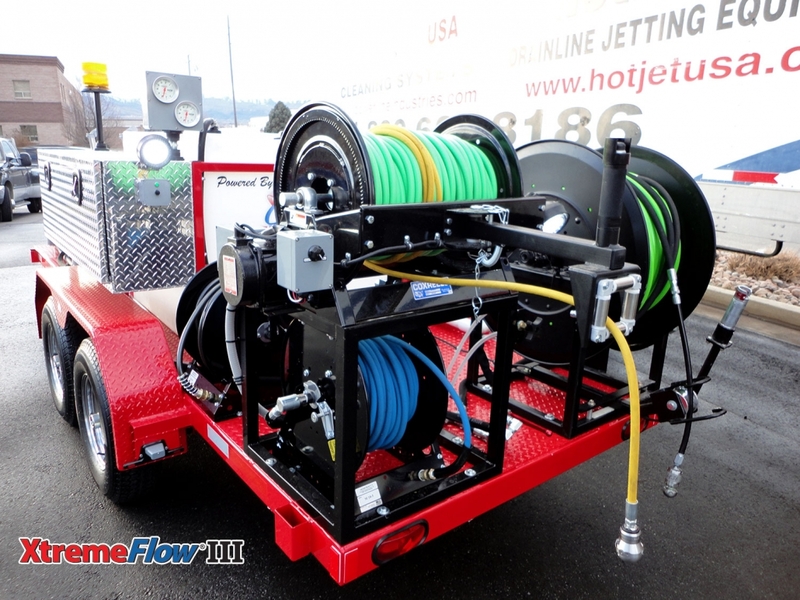 This large body cold water sewer drain line jetter has a powerful 68HP Kubota Turbo Engine and puts out a choice of an impressive 18GPM @ 4,000PSI or 40GPM @ 2,000PSI. 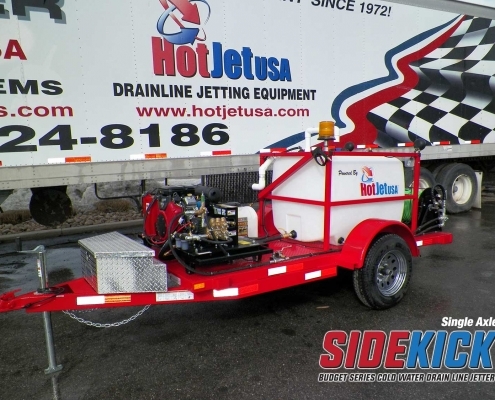 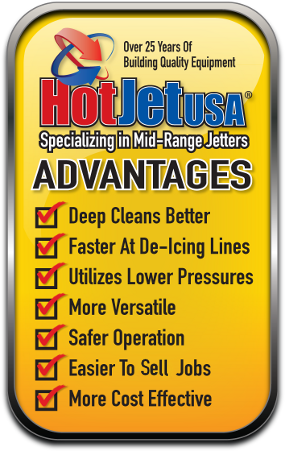 HotJet USA’s legendary high performance units are true dual purpose – capable of cleaning 4″ to 24″ lines as a drain line jetter and also serving as a high powered power washer. 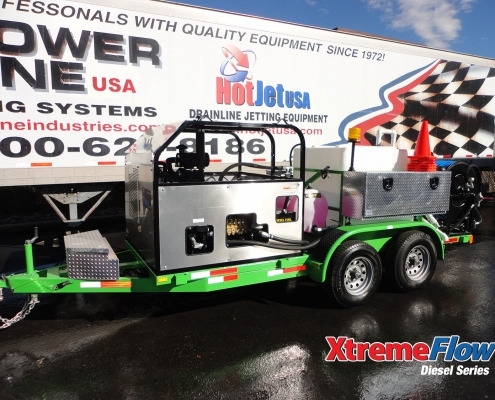 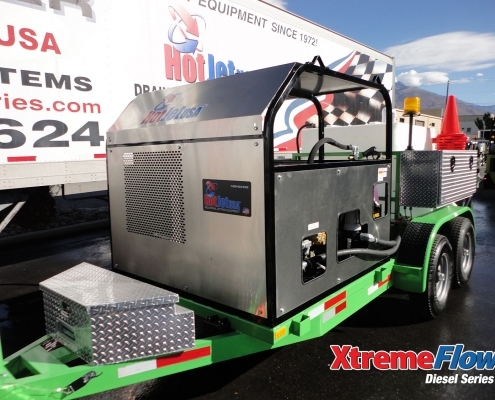 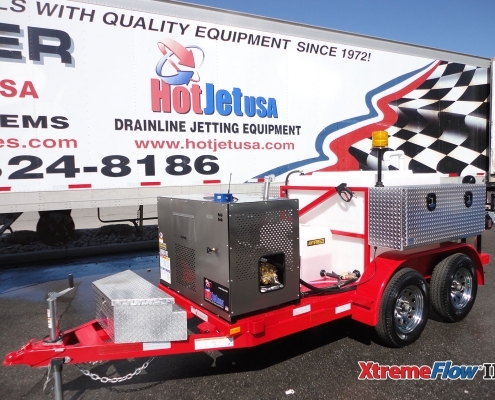 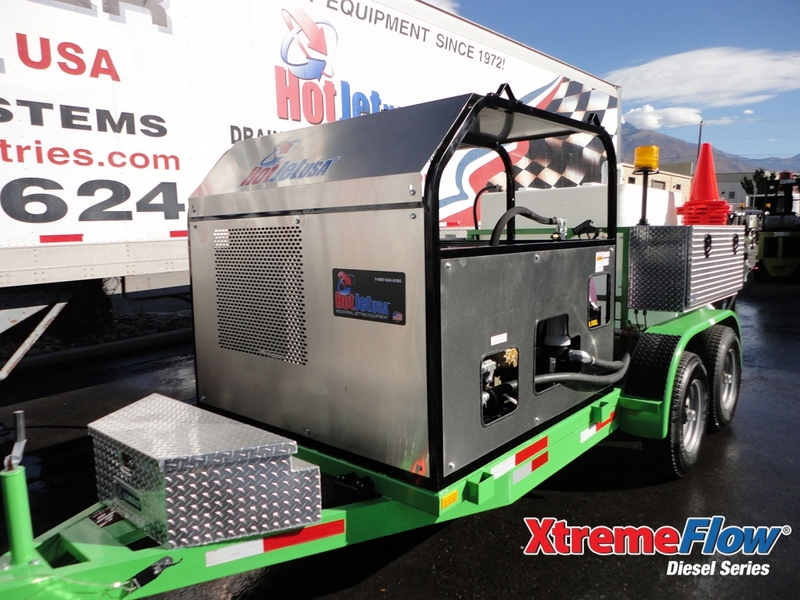 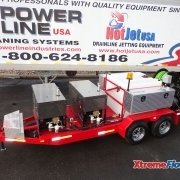 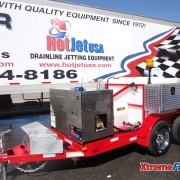 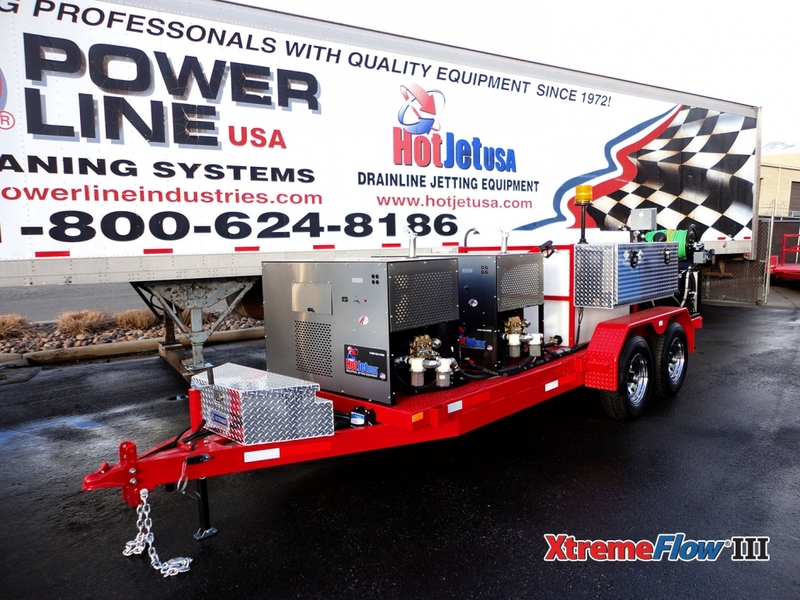 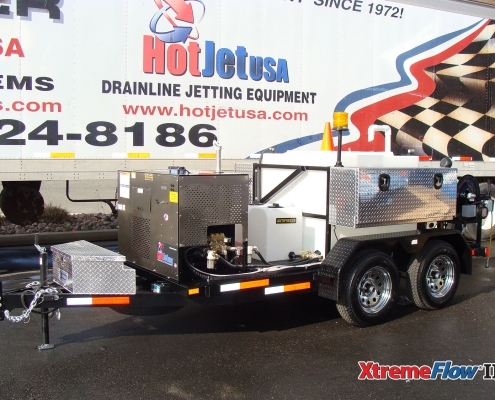 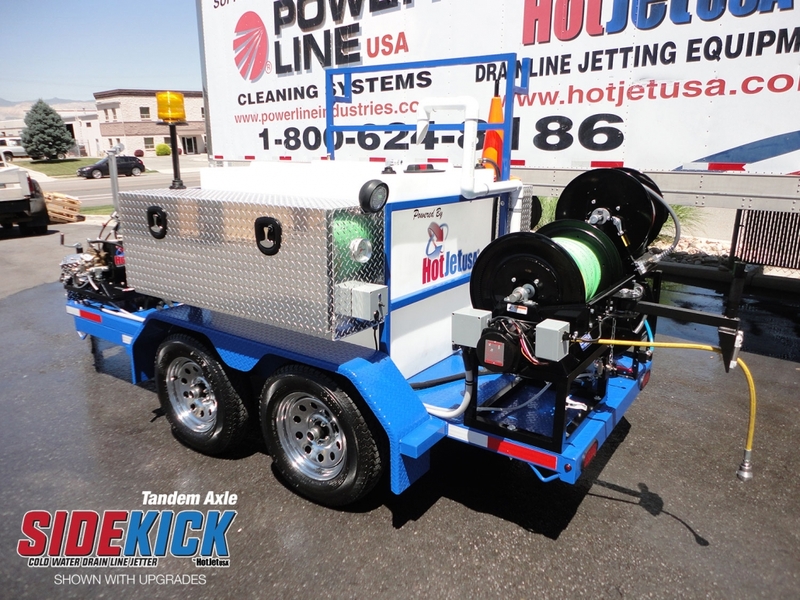 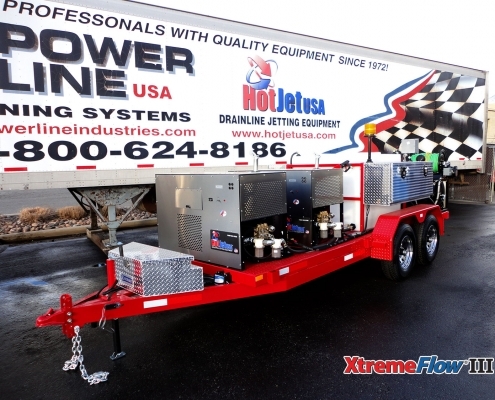 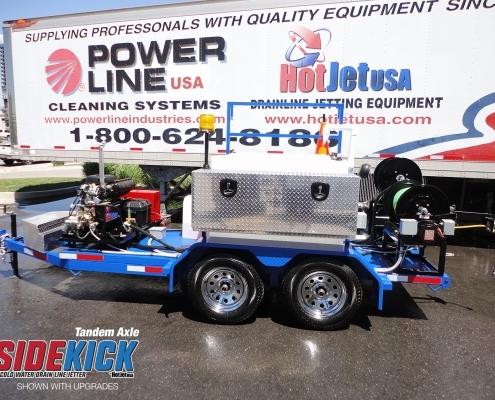 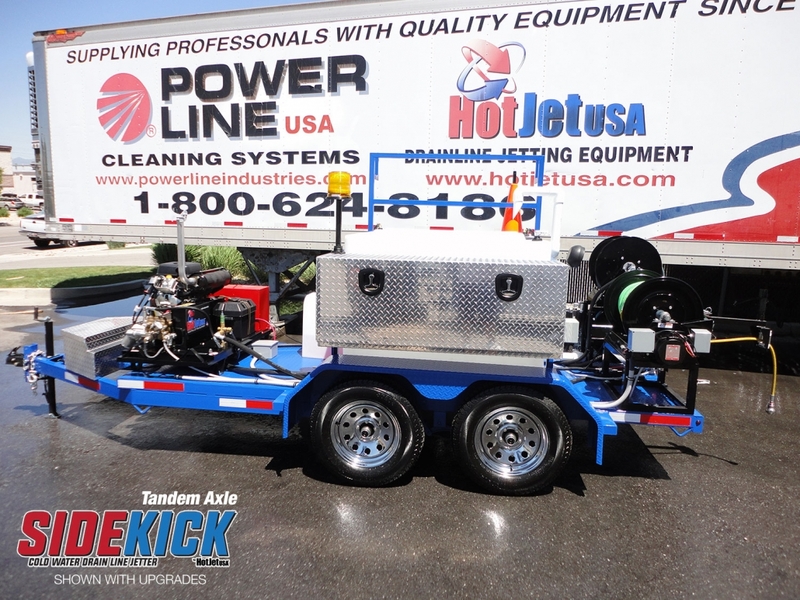 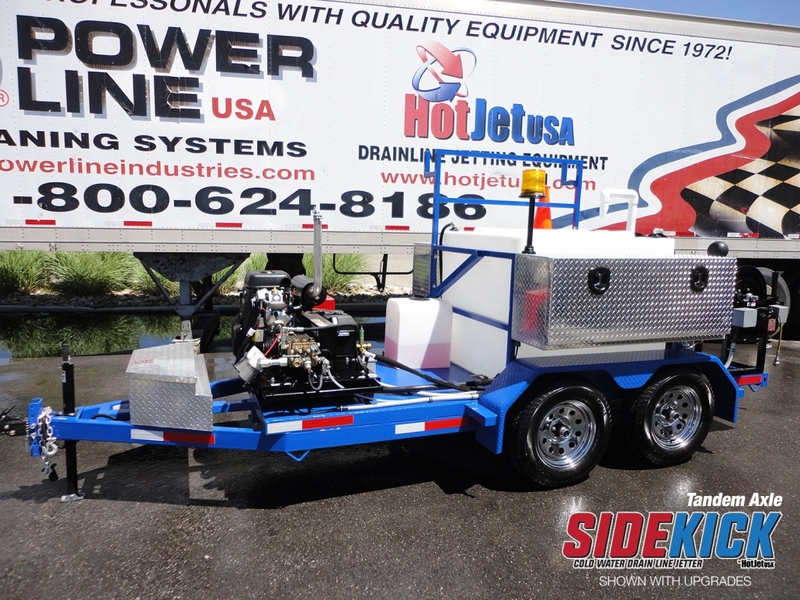 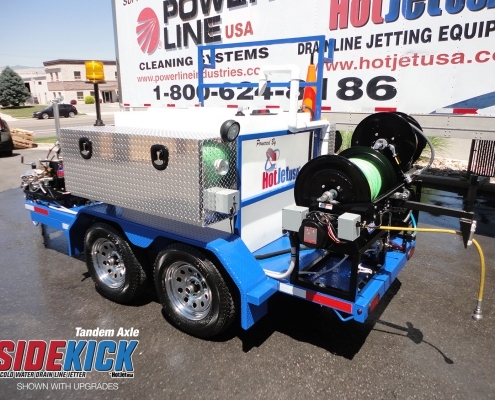 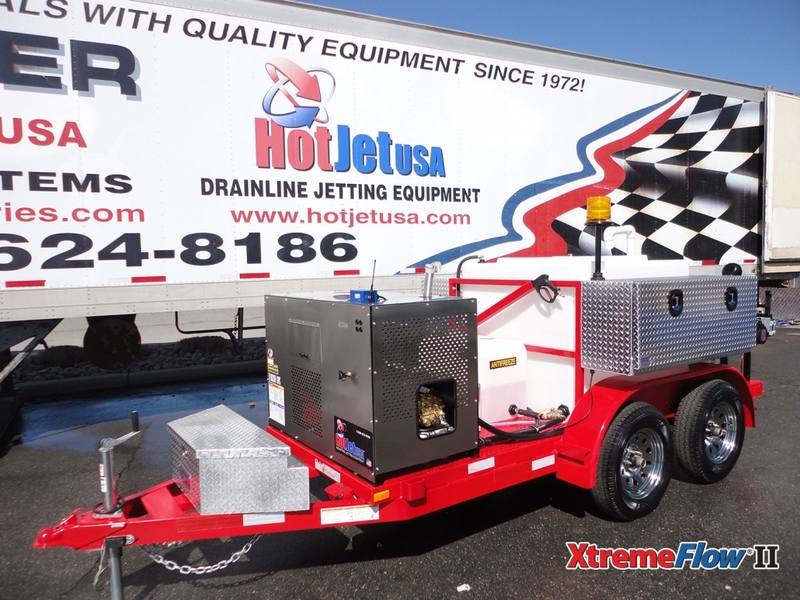 HotJet’s Trailer Mounted Sewer Drain Line Jetters are engineered for professionals and municipalities that want a workhorse of a machine with power and cold water option. 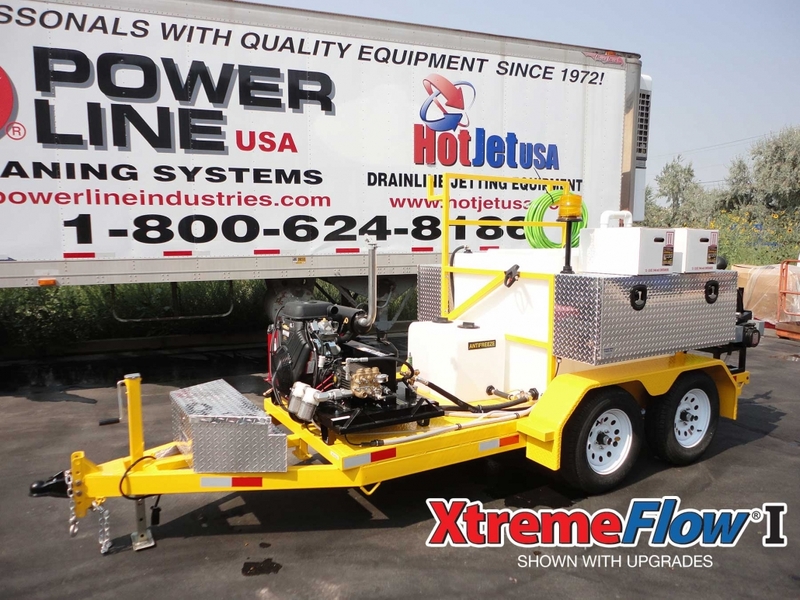 The XtremeFlow III sewer drain line jetters are dual engine with a powerful 70HP and an output choice of 20GPM @ 3,850PSI or 18GPM @ 3,850PSI. 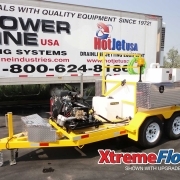 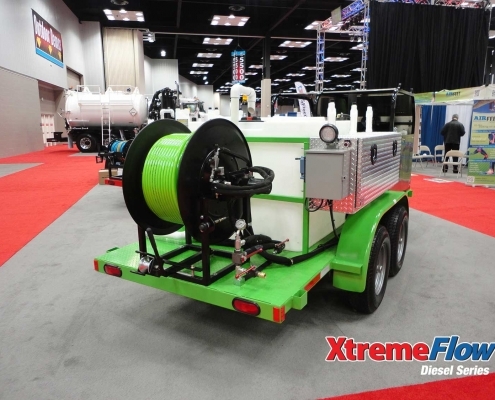 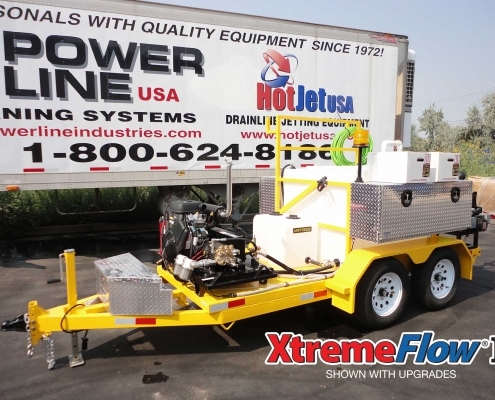 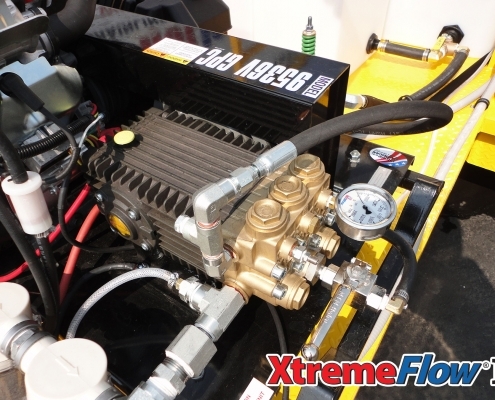 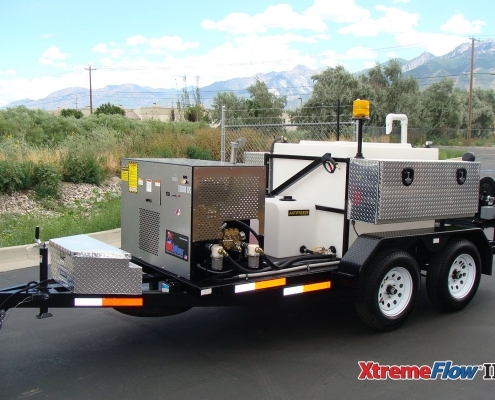 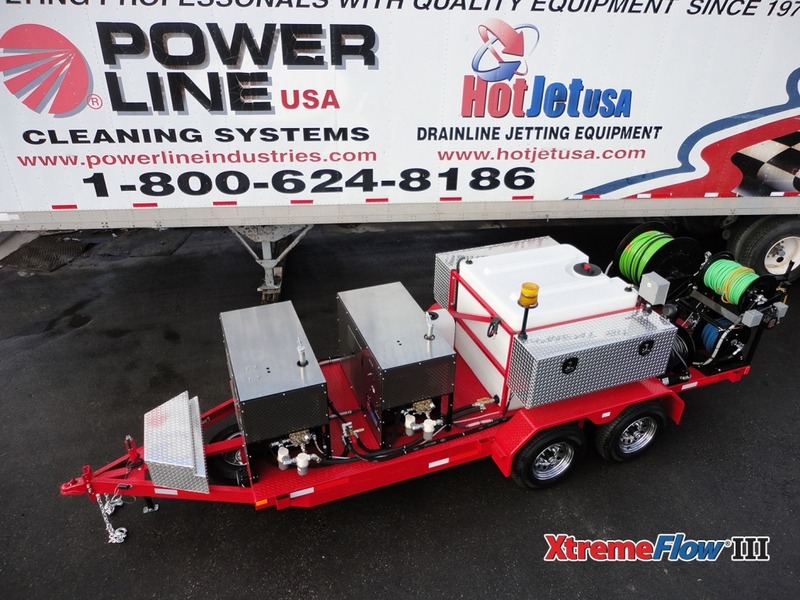 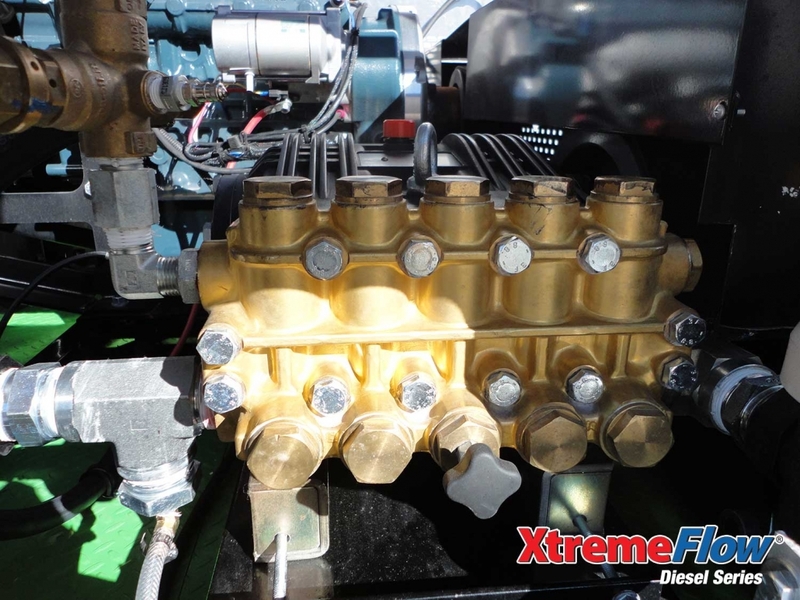 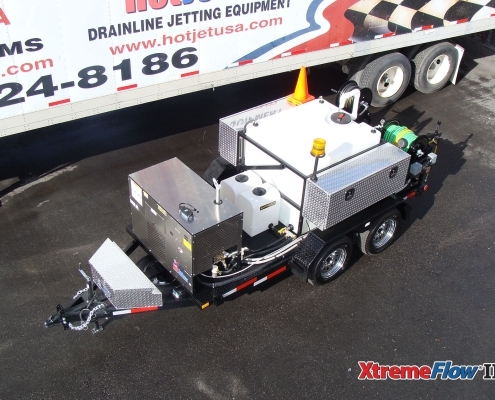 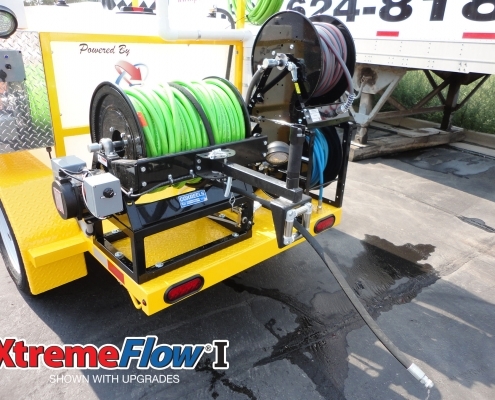 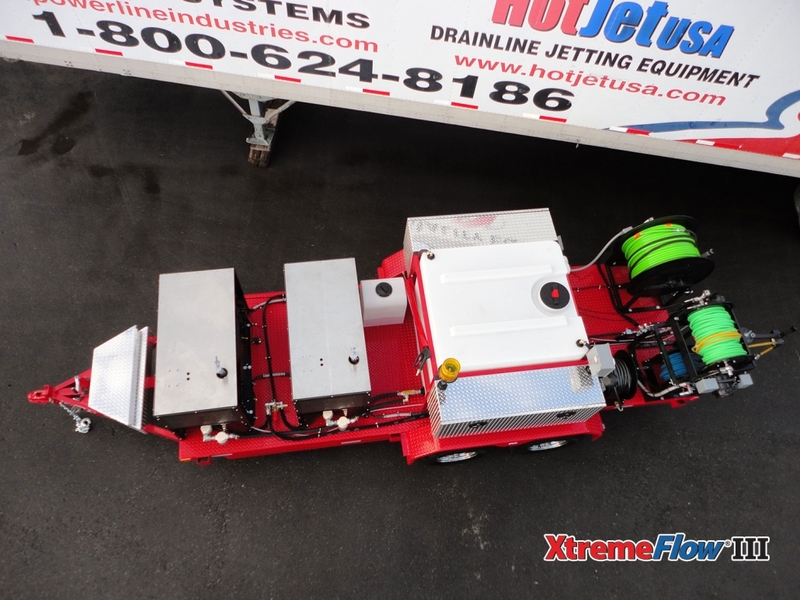 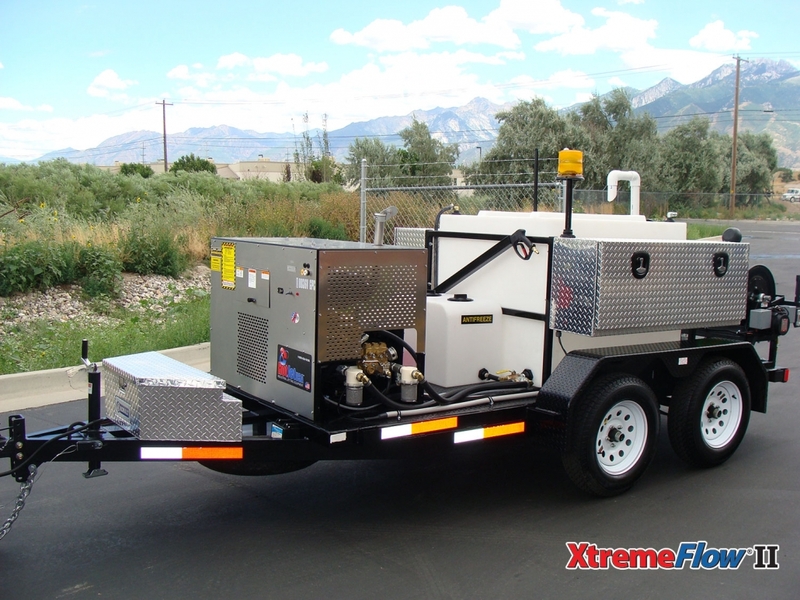 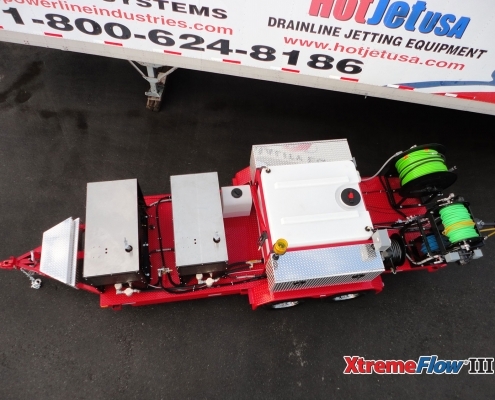 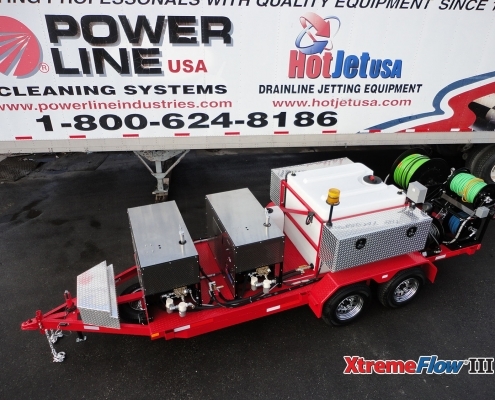 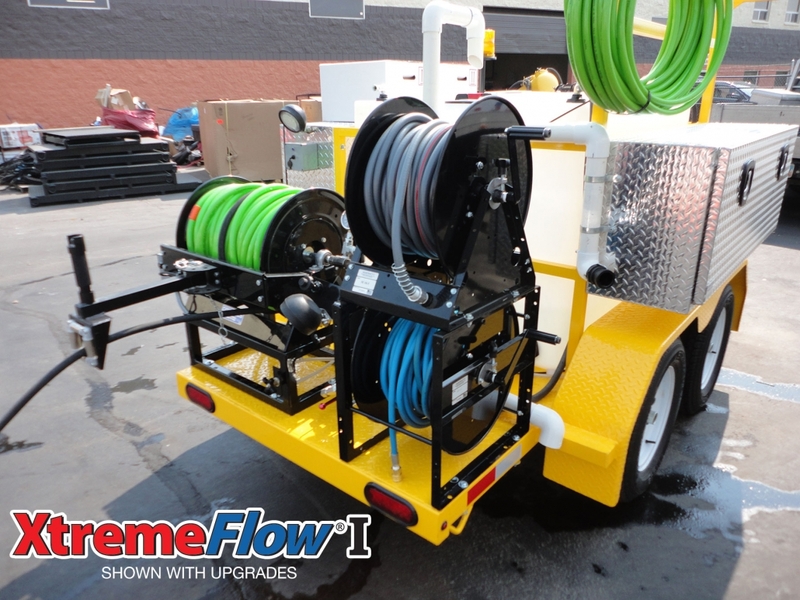 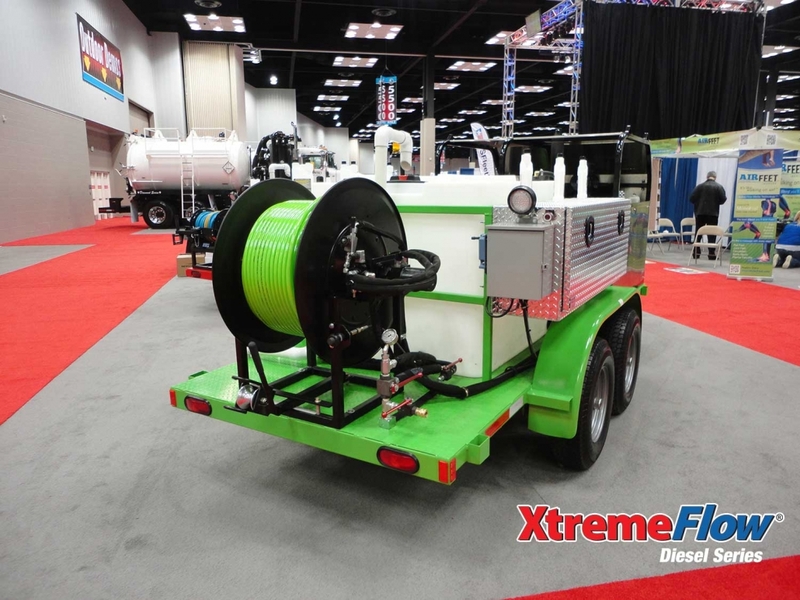 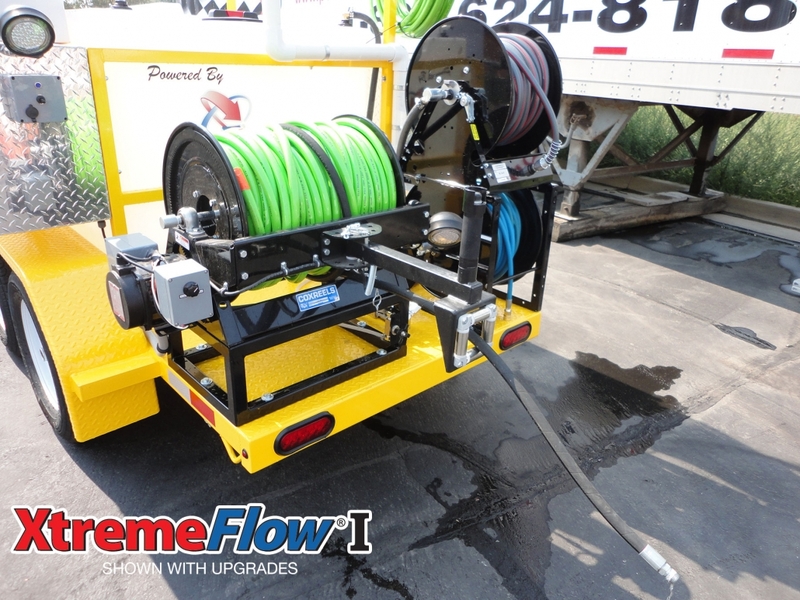 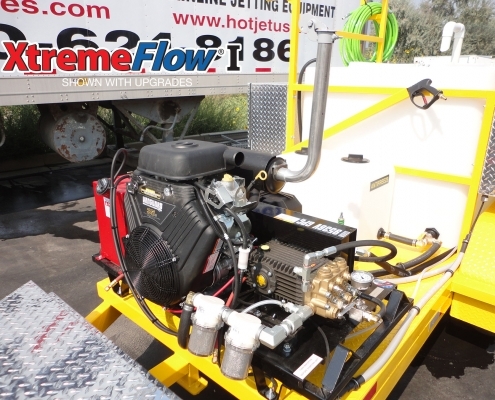 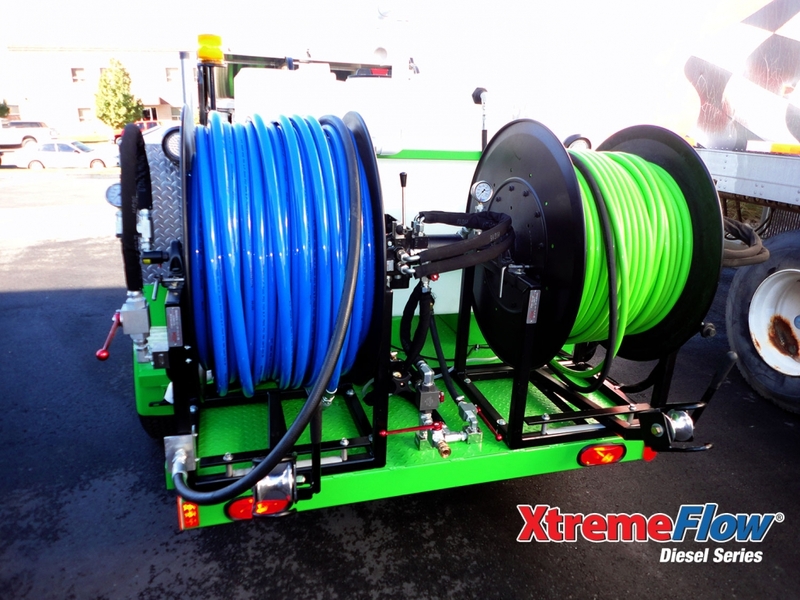 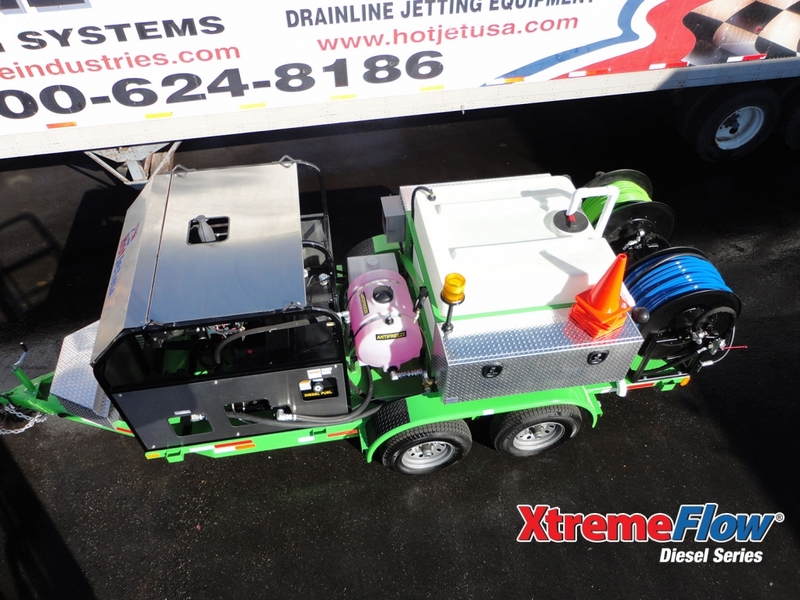 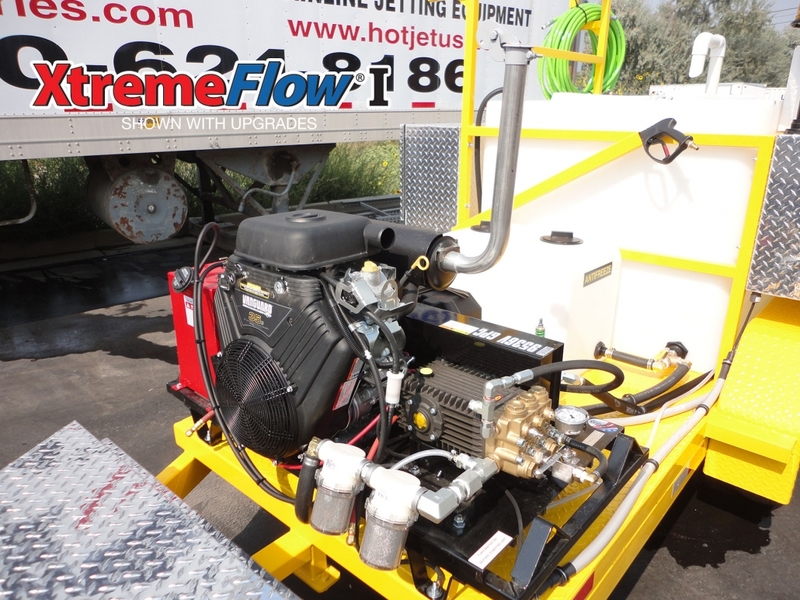 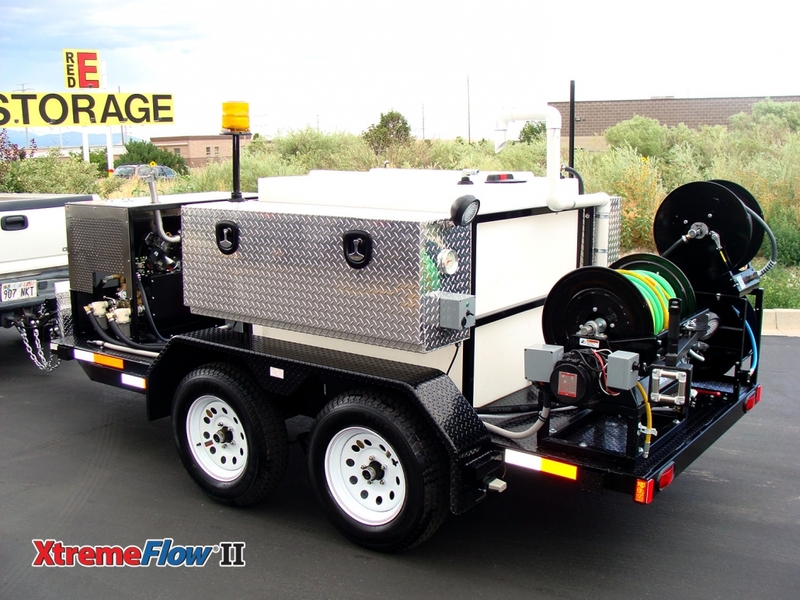 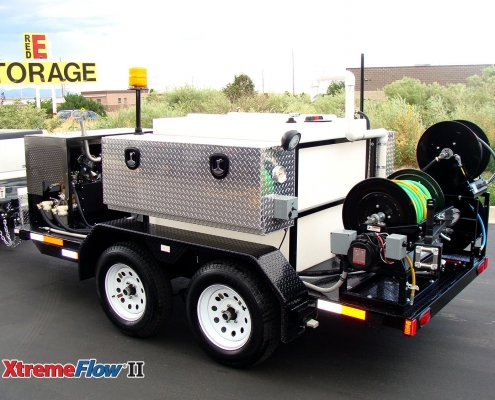 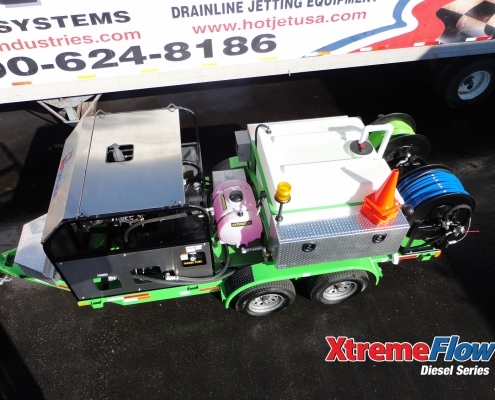 The XtremeFlow III is truly the most versatile cold water sewer drain line jetter that we manufacture. 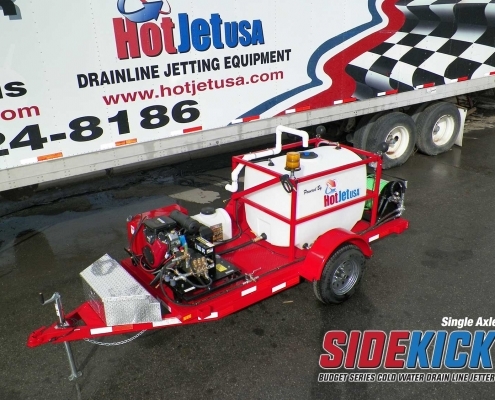 HotJet USA’s legendary high performance units are true dual purpose – capable of cleaning 2″ to 24″ lines as a drain line jetter and also serving as a high powered power washer.